It’s fairly common knowledge that approximately 40 per cent of America’s potential food supply ends up in dumpsters. 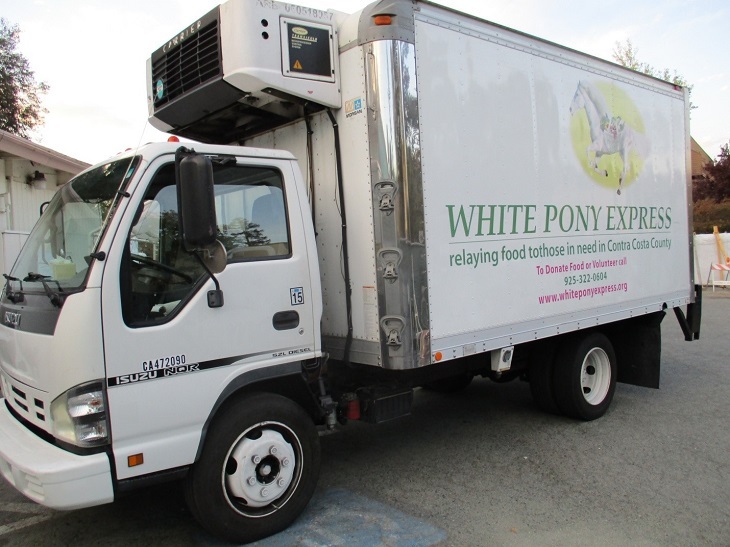 However, for the past two years in Contra Costa County, California, which is a large, highly populated area across the bay from San Francisco, the White Pony Express program has been demonstrating a remedy to this problem that could be applied anywhere and requires no new legislation or budgetary allotments—only a simple program of “food rescue” and delivery. White Pony Express began in September 2013, on a shoestring, but expansion came very soon after that, as regular daily donations from a supermarket chain expanded the scale of the program. Today, the WPE picks up and delivers about 4500 pounds (about 2041 kg) of food per day, seven days a week. Around 50 different recipient organizations receive food, with some 60,000 individuals benefiting from the service. Food donors include the Nob Hill supermarkets, Trader Joe’s, Whole Foods, Sprouts Farmers’ Market stores, Costco, and many other large and small establishments, as well as individual booths at several outdoor farmers’ markets. White Pony Express also partners with a group called Urban Farmers, which harvests the abundance of California’s fruit from backyard trees and small orchards. All food is delivered free of charge. 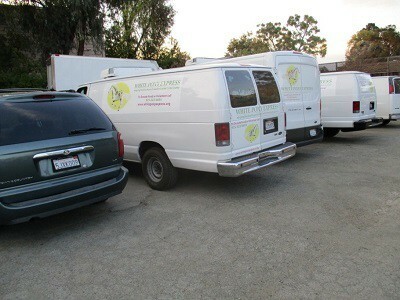 A fleet of ten WPE vehicles, including five refrigerated vans and trucks, picks up and delivers the food. In addition, some of the approximately 200 volunteers deliver in their own vehicles, keeping perishables fresh in iced coolers. Dr. Conner is the Murshida (teacher) of a group called Sufism Reoriented, headquartered in Washington, D.C. and Walnut Creek, CA. 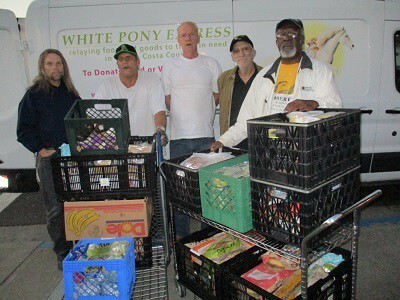 White Pony Express began with members of the Sufi group volunteering time, skills and vehicles. Today, WPE has an independent status as a community non-profit. Many Sufis continue to volunteer as administrators and drivers, but many other volunteers have no affiliation with the Sufi group. Contra Costa’s Interfaith Council recommends WPE to people inquiring about volunteer opportunities, as does a website run by the county. Another contingent of helpers has come from the Mormon church. The model of WPE is universally applicable. Organization is essential and many kinds of skills are necessary, but groups of Americans and people of other nations everywhere have an abundance of skills! A program could emerge wherever there’s a significant nexus of human energy and sufficient motivation. The variety of “jobs” available with WPE is quite diverse. Besides drivers and on-site coordinators, dispatchers are at work daily, matching food availability with drivers—often a complicated job that can practically require a magician’s hat! Many “runs” and drivers are regularly scheduled, but there are always substitutions necessary and unexpected calls to pick up food. In addition, hands are needed at the main market to tailor the food brought in from donors to the specific needs of each recipient, and then to load the food onto vehicles. Fundraising skills have also been invaluable, and WPE has been fortunate that one of its co-ordinators was already a career fundraiser for non-profits. WPE has won competitions and received grants in order to purchase refrigerated vehicles, and several have been donated. These must be maintained, of course, and this is the specialty of yet another pair of dedicated volunteers. 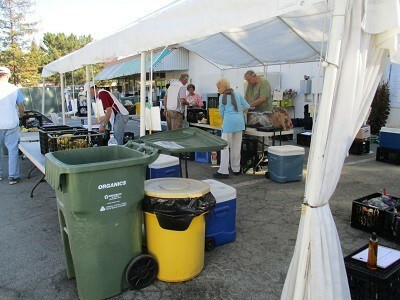 Additionally, trash must be taken out daily, tables must be washed and refrigeration units must be cleaned. Food must be unloaded, repacked in a customized way for each recipient and then reloaded at the market. Anyone 12 years old and up is eligible to volunteer, and an appropriate job will be found to suit each person’s specific size and age. Both large and small retail establishments are eager to share the bounty of product not “sold by date,” or discontinued although still in date. It is well-known that the dating of food is meant to put consumers at ease, and the due dates stamped on packages are considerably earlier than those at which food actually spoils. A refrigerated van full of prepared meals that has just been picked up smells enticingly delicious, and, at least to this nose, indistinguishable from what is still for sale at the store. An added benefit that makes projects like WPE feasible in California and other U.S. states is that laws exist to protect donors from criminal and civil liability, when they donate food that’s given for free by a food service organization. 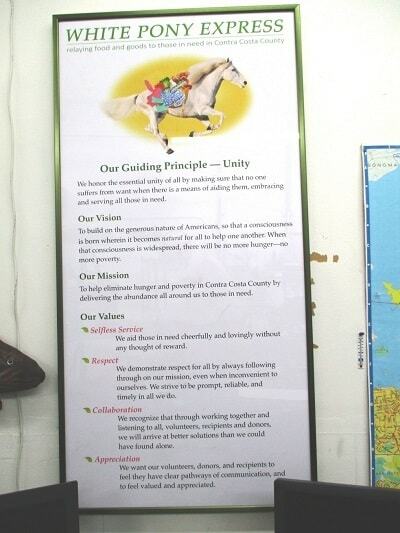 The stories of White Pony Express making a difference are many. One large shelter had to make do with leftover jail food for its clients until the WPE began bringing the surplus of America’s abundance to its door. It was said that prior to that, clients would hoard their food and eat alone as if to guard it. After the WPE deliveries began, people began to socialize and gather in groups for their meals. A woman named Toto prepares a lunch on Wednesdays for more than 100 people at Pittsburgh, CA’s United Methodist Church, on a budget of $50. She greets drivers with a hug and a feeling of having been blessed. She receives day-old rolls as if they were manna from heaven, and in her hands, they and the rest of the meal become just that! As a driver, when I deliver to PUM, I feel blessed when coming away, too. The volunteers who help me unload every Tuesday morning at the Richmond Emergency Food Pantry in Richmond, CA have been effusive in their appreciation. “If it weren’t for you guys, we’d starve!” one of them said one day. Once, a young man walking down the sidewalk past the church where the pantry is located looked at us and said, “I’ve seen that truck before. Thank you. Thank you for what you do,” before walking on. Each driver, no doubt, has his/her own stories. I do several White Pony Express runs each week, and work for several hours sorting the donated food for proper distribution. Early on Tuesday mornings, I drive a van or small truckload of food—usually 400-500 pounds (around 200 kg) in 20 or 30 crates—to the pantry in Richmond. The pantry is open on Tuesdays and Fridays and serves about 115 people each day. I “pull” the food at the market the morning before from the large donations that come in on our trucks. I try to get as much dairy, deli, eggs and meat as possible, but there are always abundant amounts of produce, dry goods, bread and rolls, plus some pastries. 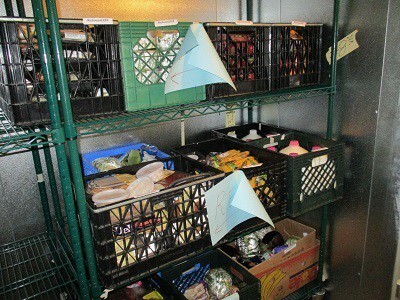 The perishables are stored overnight in our walk-in cooler, with the bread and dry goods on shelves indoors. 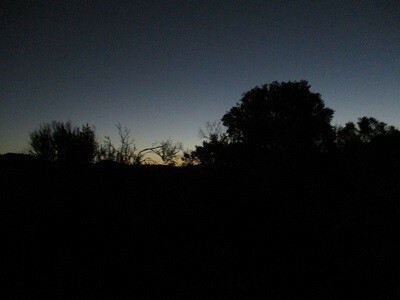 I arrive at the market at around 5:30 a.m. on Tuesday and load the assigned vehicle. There may be as many as 35 crates and boxes of food to load. Using one of our three hand-wagons, I’m able to get six or more crates out to the vehicle per trip. After everything is loaded, I drive to Morucci’s, a popular deli a couple of blocks down the street, and rap on the back window. Angel, one of the early morning workers, comes to open the door. Up to 40 pounds (about 18 kg) of day-old (but still fresh!) bread and rolls are waiting on a counter in bags. I carry them out and add them to my load, and then drive to my first destination, which is Trinity Center, a day centre for the homeless about a half mile (or 0.8 km) away. I leave up to 15 pounds (6.8 kg) of bread or rolls near the door for the breakfast the centre will begin serving at around 8:00; then, I backtrack a few blocks, to the entry ramp of Highway 24. About a half hour later, travelling mostly by picturesque San Pablo Dam Road as the sun rises over its forested hills and reservoirs, I pull in to Grace Lutheran Church, just down from Richmond City Hall. The crew of volunteers, made up of Don, Joey, Antoine, and Rick, is usually waiting with various carts, which we load and wheel in to Robert, the supervisor. REFP receives private donations and the county food bank stops by as well. However, they seem especially happy to see us. We try to give them as much as we can of the kinds of fresh, delicious foods everybody wants! The Richmond guys have particularly expressed appreciation for the prepared (cooked) meals of lasagna, mac and cheese, and such things that come from Choice Lunch, an outfit in San Jose, CA (50 miles or 80 km from our yard, yet we send a driver there every weeknight!) that provides meals for schoolchildren and donates their leftovers to us. After delivery, I drive back to the market. The truck is scheduled for another run at 8:30. I drop it off in the yard, go home for about an hour, and then return to the market to help unload and sort the new food coming in. The founders of WPE operate a sister organization called the Free General Store, which gives away clothing to people who could not otherwise afford it. The FGS specializes in helping to make recipients “job interview ready” by furnishing them with free suits and dresses that can actually help a person secure desired employment. But there are also all sorts of casual clothes, baby clothes, etc. The FGS warehouse looks like a large Goodwill store. However, the organization does most of its sharing in what are called mobile boutiques. Clothing is brought to a school or another community centre and customers are given numbers and individual help in matching their needs with what is needed. The Free General Store has just completed a move into larger quarters, and White Pony Express will move into the same new complex in the next couple of months. A drive is underway to find additional volunteers to meet the ever-increasing scope of the programs. The Free General Store plans to increase the frequency of its mobile boutiques, and White Pony Express has bought a new truck to be used as a “mobile grocery” to bring free food to groups of people who remain outside the current WPE grid. Anyone living in the area and interested in volunteering may contact Vince D’Assis by email or phone: vince@whiteponyexpress.org or 925-876-0402. Max is also the author of a recently published book of poems, Journey from here to HERE, which can be ordered online. To view more of Max’s writing, plus his artwork, visit his website.